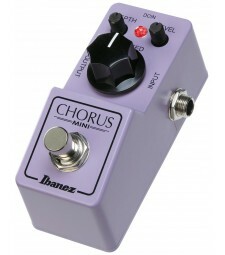 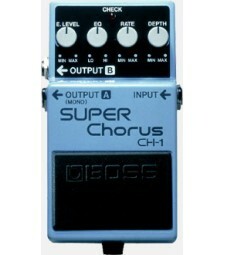 A UNIQUE STEREO CHORUS The CH-1 Super Chorus pedal delivers a clean classic chorus sound with.. 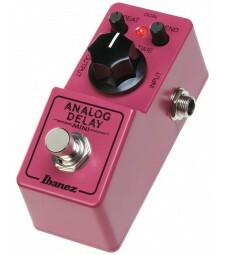 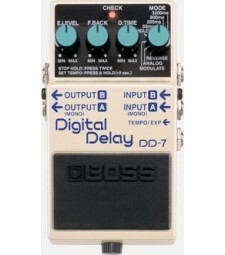 THE NEXT STEP IN COMPACT DELAY Even with the best-selling delays in compact-pedal histo..
A Bass Player’s Dream Come True. 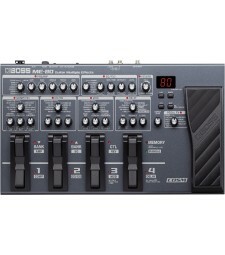 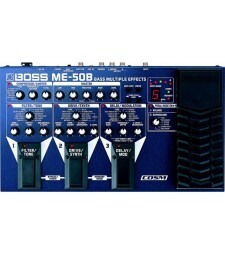 The BOSS ME-50B puts world-class bass effects in a rugged floor.. 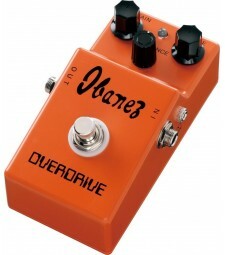 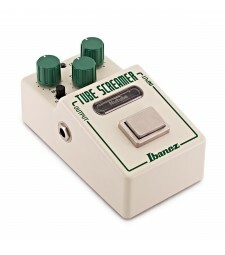 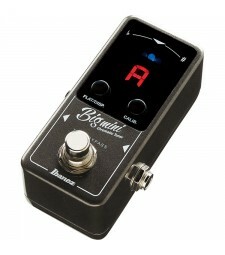 Compact pedal that offers you plenty of tone all in one knob-based interface. 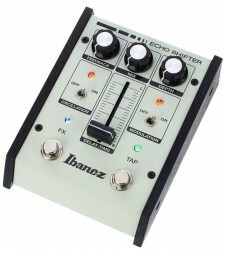 Mobile, battery..
IBANEZ ADMINI ANALOG DELAY PEDAL Mini Delay Repeat, Delay time and Blend controls True Byp..
IBANEZ CSMINI STEREO CHORUS PEDAL Mini Chorus Depth, Speed and Level controls True Bypass ..
IBANEZ ES2 ECHO SHIFTER REISSUE Controls: Tap / Delay Time / Feedback w/Oscillation on/off / Mix ..
IBANEZ NTS TUBESCREAMER PEDAL Built-in KORG® Nutube® Drive, Tone, Level and Mix controls Re..
IBANEZ OD850 OVERDRIVE CLASSIC Vintage Ibanez Overdrive Goodness Sustain, Balance and Ton..